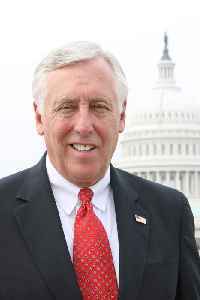 Steny Hamilton Hoyer is an American politician serving as U.S. Representative for Maryland's 5th congressional district since 1981 and as House Majority Leader since 2019. A Democrat, he was first elected in a special election on May 19, 1981 and is currently serving in his 20th term. 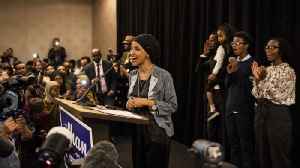 The district includes a large swath of rural and suburban territory southeast of Washington, D.C.. Hoyer is the dean of the Maryland Congressional delegation. 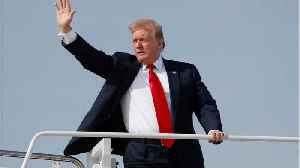 U.S. House Majority Leader Steny Hoyer said after the release of Special Counsel Robert Mueller's report on Thursday that impeachment of President Donald Trump was not worthwhile with an election.. 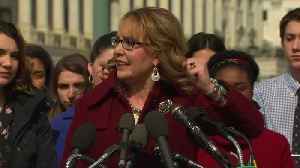 Multiple outlets report the resolution was drafted by staffers for top Democrats. 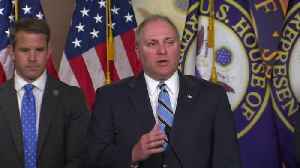 Republican Minority Whip Steve Scalise and Democratic House Majority Leader Steny Hoyer present opposing views ahead of a U.S. House of Representatives vote on Tuesday on a resolution to terminate..